I thought it might help me to color code some of my terminal windows, e.g. 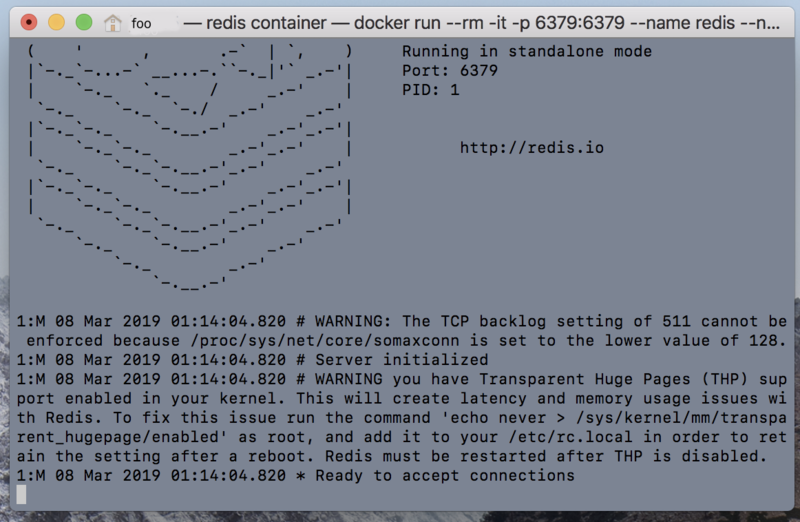 made my Redis terminal red. 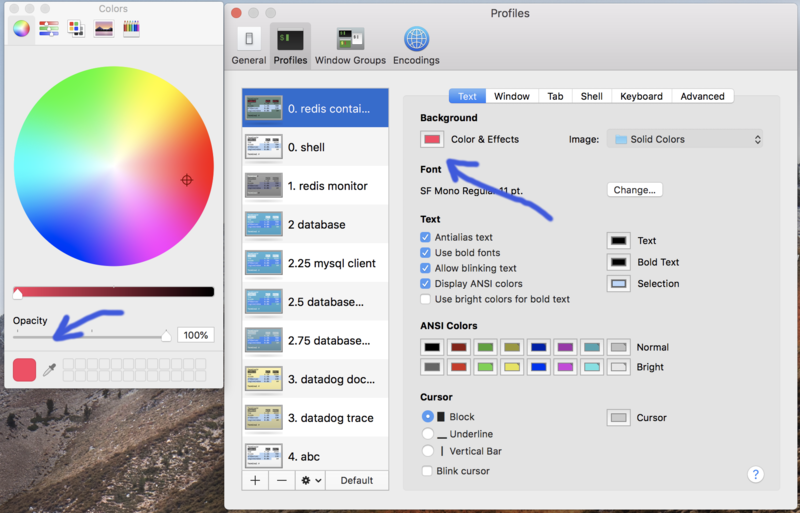 Just to the right of the colour selector, there's a setting that right now says "Image: Solid Colors". This means that Terminal will grab an image from some system directory containing solid-colour images and use that as a background, overriding whatever background colour you have set. Change that setting to "No image" (or something like that; my Mac is set to Swedish...) and it should work. Not the answer you're looking for? Browse other questions tagged terminal high-sierra color . How can I change the black text in my terminal? What did I do to remove the Terminal Window But Preserve Running Processes?